Jenna Busch | Page 1 | Birth.Movies.Death. 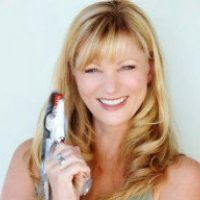 Jenna Busch is the founder of Legion of Leia, co-host of Most Craved, a chapter author for STAR WARS PSYCHOLOGY, a writer and an owner of lightsabers and cats. Michael Keaton’s performance in BEETLEJUICE should not have worked, but it ended up being one of the best character performances ever. And we’re not just talking about that infamous whisper at the end. A look at the making of this weekend's latest Disneynature doc. If we can have Anne Hathaway controlling a kaiju with her mind, can’t we have Ultraman? Though it was pulled from theaters, crimes committed in its name weren’t caused by looking at Alex as a hero.